Mystery, Dystopian, Contemporary, and just fiction books in general are my favorite. **I'm not very good at writing reviews but I'm trying really hard to be better at it, hence this blog. Recommended for: Anyone who is looking for a short and simple yet beautiful contemporary novel. Okay so this novel was beautifully simplistic. I was intrigued by the storyline as I have never read a novel like it. I'm glad I read it because although it was quite simple, I still enjoyed the beauty of the story. I truly truly enjoyed the way the novel ended! The reader can assume she stayed, but at the same time it's mostly implied since it's never truly said--and I love that! Although it could at some points be a little bothersome how the novel is written -- it constantly goes back in time -- I enjoyed it since there would be something that happened "currently", and then Mia would flashback to an event that would connect to the current situation. I thought it was interesting to read. 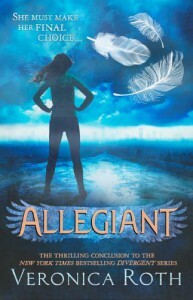 So yay for another great young adult novel. 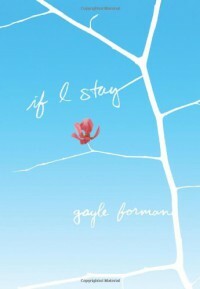 I'm excited to read more of Gayle Forman's work! 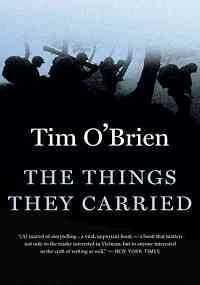 it turns out that O'Brien made up most of the book's content--definitely a twist on a typical "memoir" but this made the book interesting, as it is implied that the whole truth does not really matter; the audience will by more intrigued by "story truth". I enjoyed how the book included some completely honest thoughts from O'Brien. However, I disliked how the novel was not written chronologically. I think it would have been easier to follow if it had. And I especially liked the ending, I guess because it felt honest...anyway, if you like war books, read it. So it took me a million years to finish this book and I feel like that's mainly because it's so long, but also because I did not want to be done with the series yet. There's just something about the Divergent world that I absolutely love being a part of. I am so glad I read this trilogy. No matter if you have heard spoilers about Allegiant or not, I dare you to just read it anyway because it's beautiful. And now I will warn you of spoilers ahead in my review. Seriously, DO NOT continue reading if you have not read Allegiant! So about a month ago I was reading an article online about the Divergent movie and the website spoiled a part of the ending of Allegiant! (I was only halfway through the book at that point). Can you guess what it was? Yes, it was that part at the end with Tris...you know. I just can't type it. And I was so angry because I did not want to know about the part before I read the book! Ugh. BUT I still read Allegiant because how could I not? Veronica Roth has a pure talent for writing, as I can truly feel the emotions of the characters, as if I was going through the same events with them. Man, could David not have been in the room? Man that made me so angry. But for some odd reason, I really love that Veronica chose to end the series this way. It made it interesting, unique, and somewhat inspiring—I mean we all have probably experienced at one point in our lives how Tobias felt when he drove back to his Abnegation home, memory serum in hand. I love that Veronica Roth chose to write that particular scene. Overall, many have discussed that they were unhappy with Allegiant's ending, and even though I would say the same,—because who wasn't heartbroken after reading that?—I admire Veronica for ending it the way she did. Now what do I do since I have finished this beautiful trilogy? I definitely enjoyed reading this one especially starting at about page 250. 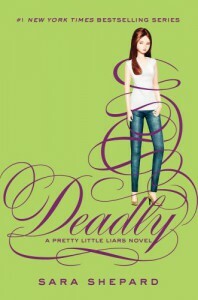 I just don't get how Sara Shepard continues to intrigue me after 14 books! Y'all can complain all you want about the never-ending additions but I think it will honestly be hard for me without this series. Not going to lie: This was a good book but if you're not entirely obsessed with the Pretty Little Liars series and you think you need to read it in order to read the rest, don't bother. This book was somewhat of a struggle for me as it was hard to be intrigued. Plus I read it after reading the 13th novel in the series, which makes it hard to read since it takes place between the 4th and 5th books. Anyway, fun read but not entirely necessary. Probably a book to read if you're looking for something with not a lot of plot. This is one of my favorites of the PLL series because it's so different. 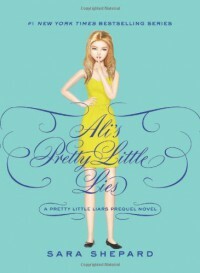 I absolutely loved exploring Ali's world before the series really started. Note: I don't think you should read this before reading at least the first 8 books of the series. That's just my opinion, mainly because it may potentially spoil some things for you. All in all, I thought it was truly interesting to read about Ali's background and really be invested in her story as in the PLL books she's only brought up as a character who is already gone before the series starts. 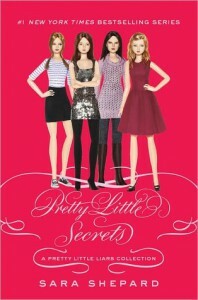 I'm really glad Sara Shepard chose to write this novel.